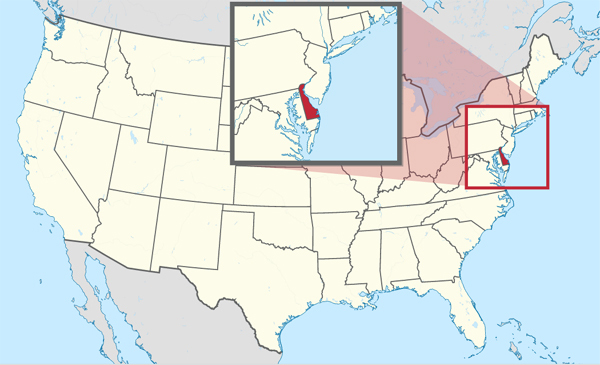 Delaware USA; image by TUBS on Wikipedia (use permitted with attribution / share alike). 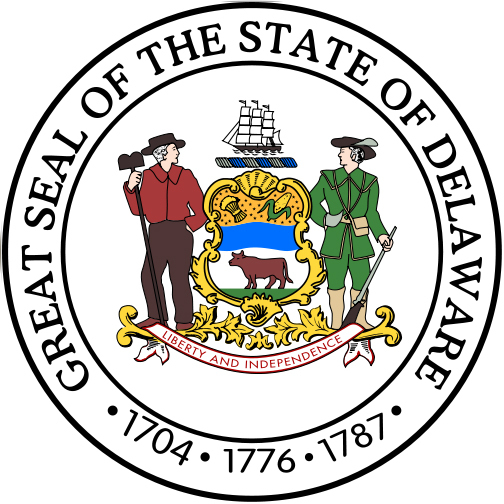 Delaware was the first state to ratify the United States Constitution on December 7, 1787 (order of statehood). The state motto also appears on Delaware's state seal and state flag (on a ribbon below the coat of arms). 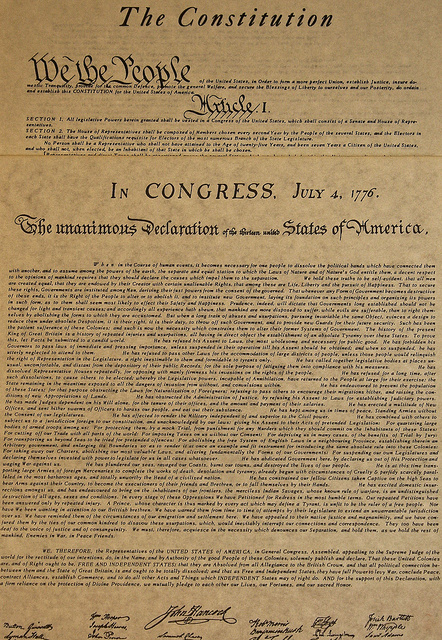 Our most famous documents; The U.S. Constitution and The Declaration of Independence. Photo by Grizdave on Flickr (noncommercial use permitted with attribution / share alike).